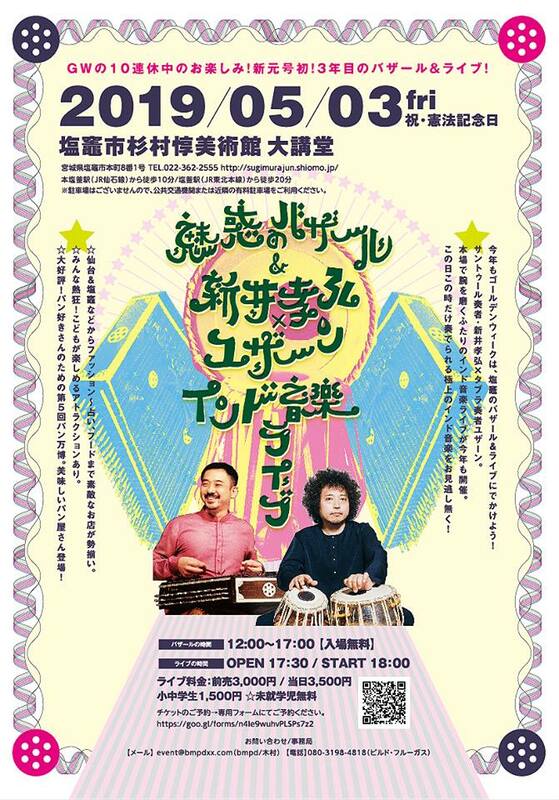 Come and discover the enthusiasm and excitement that Indian music has to offer, happening Japan’s 10-day-long Golden Week holiday! Experience the music performed by Takahiro Arai and U-Zhaan, two talented Japanese musicians who specialize in playing music from India. 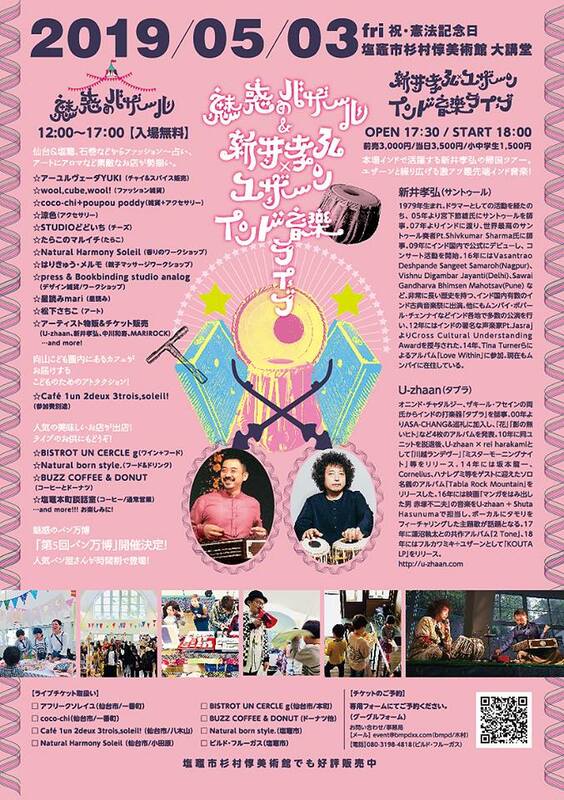 After our one-day bazaar happening in the daytime, stay with us into the evening as stringed instrument “santur” player Takahiro Arai will bring the city into an exciting mood as he performs classical Indian music. Together with Indian tabla drums player U-Zhaan, get ready to experience a breathtaking improvisational music session! Hours: Doors open at 17:30, concert starts at 18:00.